I don’t think anyone needs convincing that I’m a total Japanophile (or ‘shinicchi’ as I’ve just learnt whilst working on this post). And Muji is one of my ultimate pleasures – my desk is all perspex folders, and we are only allowed their gel pens in the flat (partly because they write well, mainly because they look really, really nice). 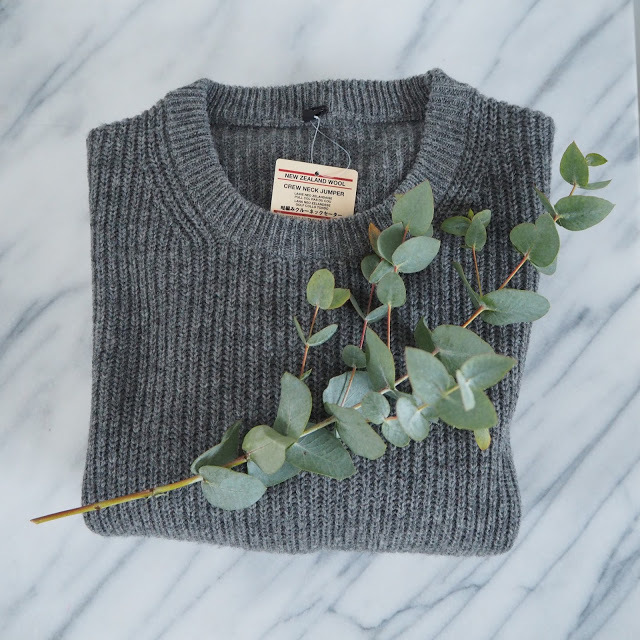 Since reading Marie Kondo, the art of the Japanese lifestyle – modest, simple and well stored really speaks to me (I can’t say I’ll ever be good at not buying ‘stuff’ but it’s something to aspire to). 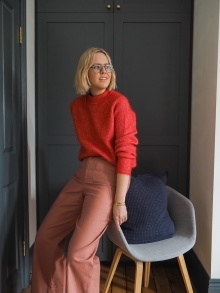 And I love how pretty much everything in the shop is ‘useful’ – a perfectly sized notebook, storage, chic pyjamas (yes, above, I am in love with them). 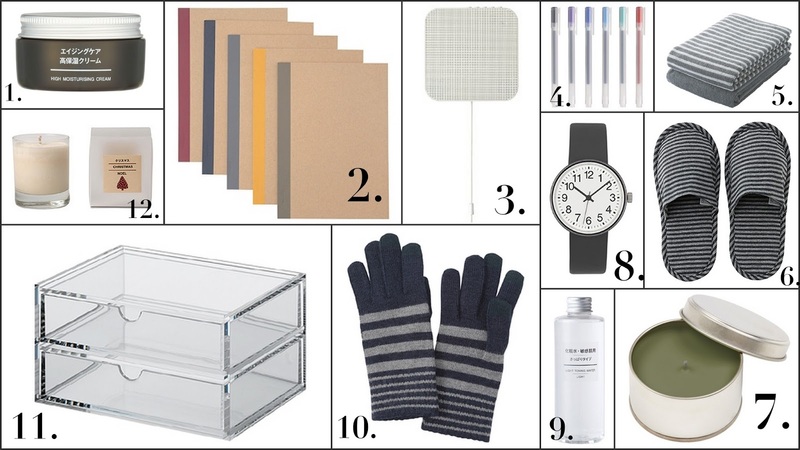 But I bet you’ve not really thought of Muji as a Christmas present store, have you? All in one essence, £8.95, Muji. Gel pens, £1 each, Muji. High moisturising cream, £12.95, Muji. Notebooks, 60p each (I always buy these for my husband), Muji. 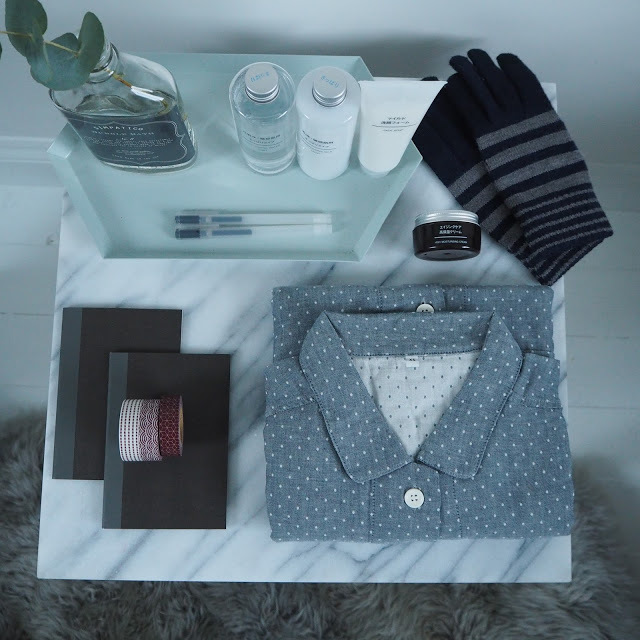 Mainly, it’s so affordable – a classic breton top will set you back £19.95 and their acrylic storage boxes make great presents (I bought some for colleagues last Christmas to store all their notecards in). All in one essence gel, £12.95, Muji. Moisture essence lotion, £17.95, Muji. 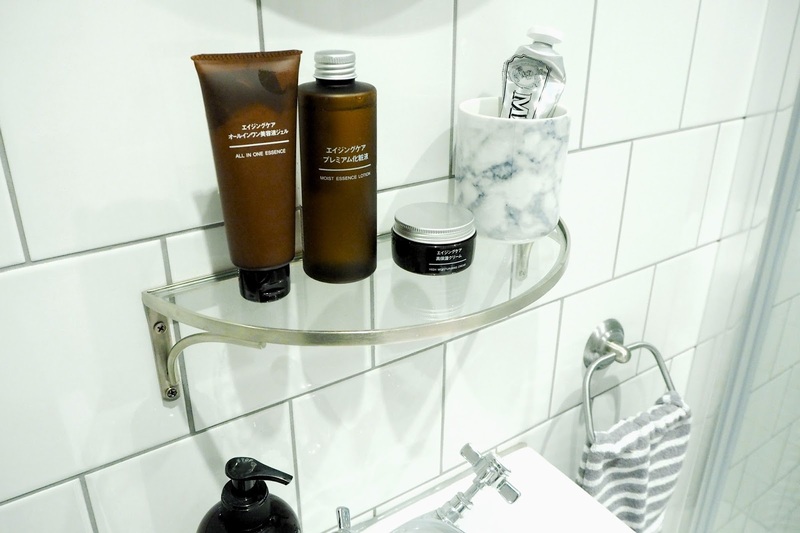 I’m going to try the sensitive skincare range this week, as my skin always plays havoc once I’m back from being away (it has had great reviews). 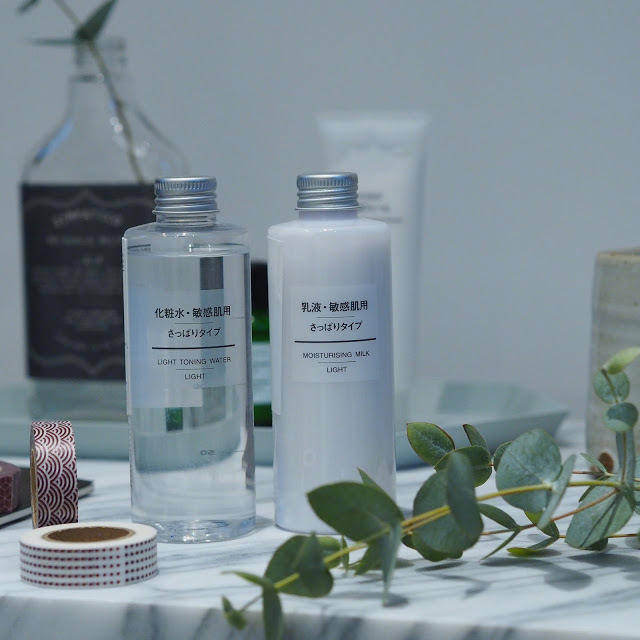 It’s all infused with natural and active ingredients and I think, like most Muji products, the range will become cult. 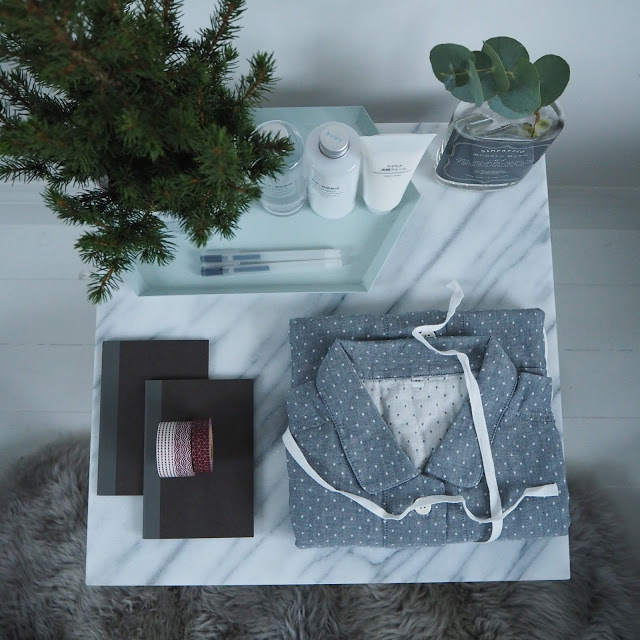 This post was is collaboration with Muji, one of my favourite shops for gifts. Let me know what you find! We used to have a Muji in Leeds and I always liked having a mooch in there and picking up little oddities. But it's been gone a few years now :o( Those pj's looked so perfect too! I have the moisture essence lotion and it is brilliant. Definitely aids hydration, particularly in the season of dehydration. 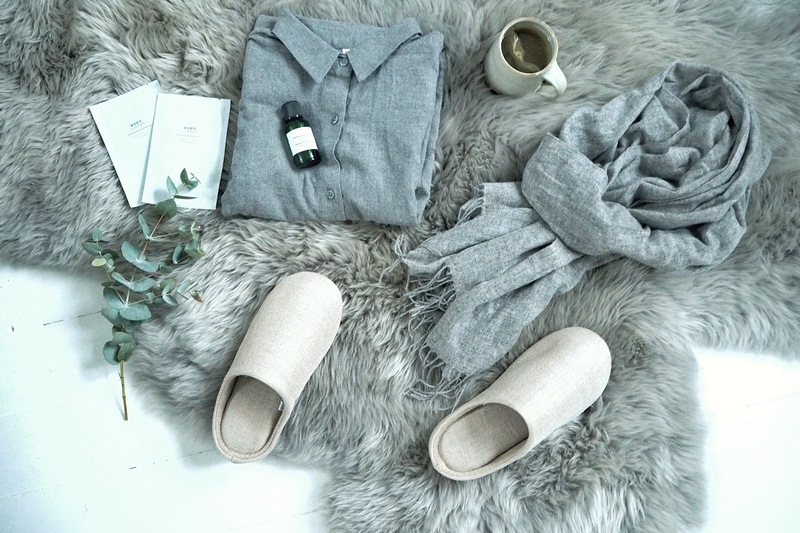 My husband has been the recipient of several Muji gifts over the years – my favourites were a dark grey towelling robe of such luxurious thickness it would give The White Co a run for its money and a slim fit micro black/white check shirt that still looks like new a couple of years later. It's just a shame I have to travel to London to pay a visit these days. Love Muji and have the same pen rules in our house! Many happy memories of visiting the (huge) Glasgow store as a teenager but it closed down years ago. Frequent business trips to London and the odd online shop keep me stocked up though. Really hoping that I can buy those pyjamas next time I'm there.